forms of papercrafts and card making, so why a new one ? just to join in for the fun of it. We are looking to place a few more members to our team. To partake in choosing challenges and to choosing winners. To show your interest add DT after your name in the current challenge. The DT call will end when we have two new DT members. For more details and a choice of You Tube tutorials go here. We will see you again in two week's time. It's always good to see a new challenge and I'll link a card soon. Are you going to add a Followers button to the blog? 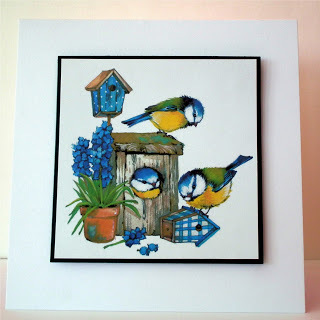 Really lovely idea to give inspiration and information to new crafters. Great idea - good luck with your new challenge blog. Looking forward to participating in your new blog :). Congratulations on your new blog, a really good idea and lovely cards! Thanks so much for starting up a new challenge with such a great concept - good luck with it! So glad I could play along with the first challenge, love to mat and layer. Fab inspiration from the DT. What about a watercolor challenge? For example, make cards using watercolors.